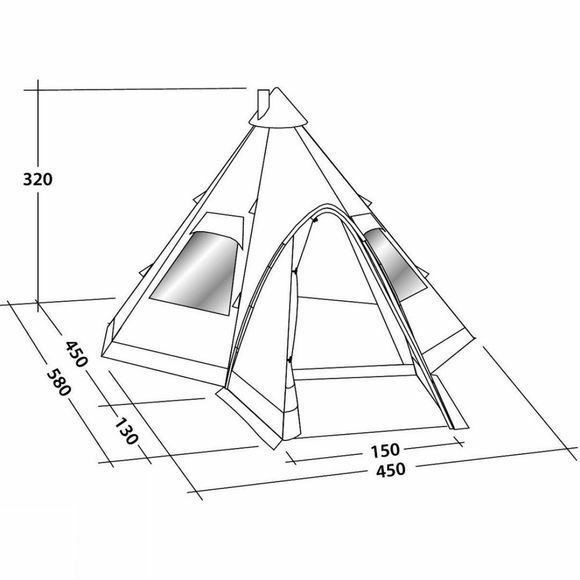 The Kiowa tipi from Robens sleeps up to ten people and provides a large living space and front porch. 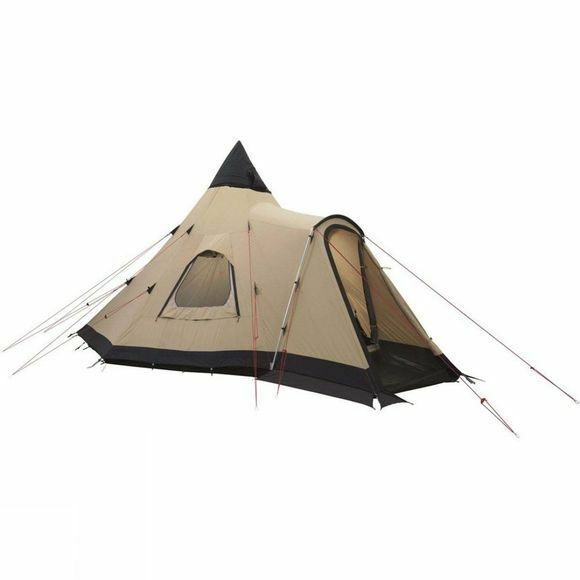 The zip-in groundsheet has a zip to the centre alloy pole, enabling it to be rolled away at the door to create a safe area in which to use the optional stove and place wet gear. The neat new Internal Apex Vent Control that can be easily opened and closed from inside works with the large mesh panels behind the zip-open windows to control airflow while keeping bugs out.